Some ten years ago, operators have to dive with the waterproof equipment in order to capture the beauty of the underwater world. Today, underwater drones can facilitate this task. 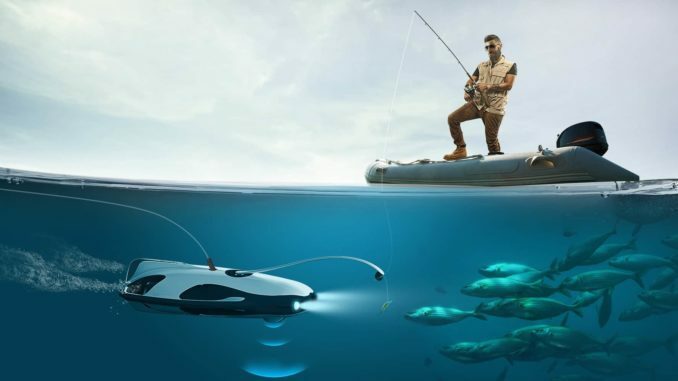 PowerRay underwater drone by the PowerVision Company is one of the brightest representatives of this class of devices. PowerRay Wizard. This is one of the most expensive and fanciest models. It can be used to broadcast underwater in real time. base station’s weight 0.2 kg. The PowerRaykit includes sonar, camera, remote control unit, a charging device. The device is controlled using the cable that transmits a video signal and supply powereven in the strong current loops. The allowable depth, which can underwater drone be work in, is 30 meters. The device is able to lift from the bottom at a speed of 0.4 m/s. While an average speed in water is about 2 m/s. It should also be noted that the speed of movement depends on the resources of the battery (about 1 to 2 hours). The camera effectiveness is provided by the CMOS sensor. Its sensitivity ranges from ISO 100-1600. The resolution of the images does not exceed 12 megapixels. Regarding the video, the camera is able to record video in high formats (HD, full HD, 4K), as well as in MOV and MP4. The burst speed is determined by the frequency of 5 frames per second. To set the parameters of the video (mode, format, resolution) use the remote control, which resembles a small smartphone. It also provides the image of underwater photography. The memory is pretty decent – 64 GB. In addition, the UAV station sports a Wi-Fi module, which can cover 30 meters. The hydrolocator system operates at a frequency of 125 kHz and has the following parameters: sensing angle 30°, working depth from 0.6 to 40 meters, Wi-Fi connections range more than 80 meters. The hydrolocator system includes 6 led lights. The drone can work in the environment with temperature from -20 to 65 degrees. Despite the PowerRay obvious advantages, it is still impossible to completely get rid of the long cable into its design. When using the drone, you should avoid areas with large thickets of seaweed, and it is also necessary to ensure that the cable is not tangled in your yacht’s keel. Still, this device is an indispensable tool not only in fishing but also in conducting spectacular underwater photography. The price range varies from €1,599-€2,099. The final cost of the device depends largely on the chosen model of the drone.